Visit Frederick is giving away a pair of FREE tickets to the Frederick Craft Spirits Festival on April 20! Please fill out the form below to enter for your chance to win. A winner will be chosen on Tuesday, April 9. The winner will be notified by email. If the winner is not reached within 24 hours, another winner will be chosen. Must be 21 years or older to enter. Tickets are non-transferable and winner must be available to attend on April 20. No purchase is necessary. I give persmission to Visit Frederick to send me email. 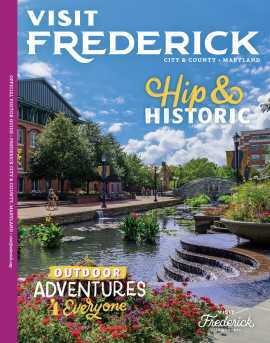 I would like to receive a monthly email on visiting Frederick County, Maryland. I can unsubscribe at any time. I would like to receive a quarterly email on food and dining in Frederick County, Maryland. I can unsubscribe at any time.